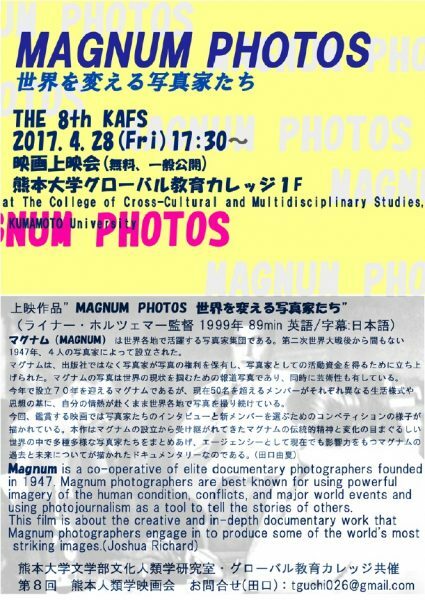 KAFS (Kumamoto Anthropology Film Society) holds the 8th session as follows. Magnum is a co-operative of elite documentary photographers founded in 1947. Magnum photographers are best known for using powerful imagery of the human condition, conflicts, and major world events and using photojournalism as a tool to tell the stories of others.